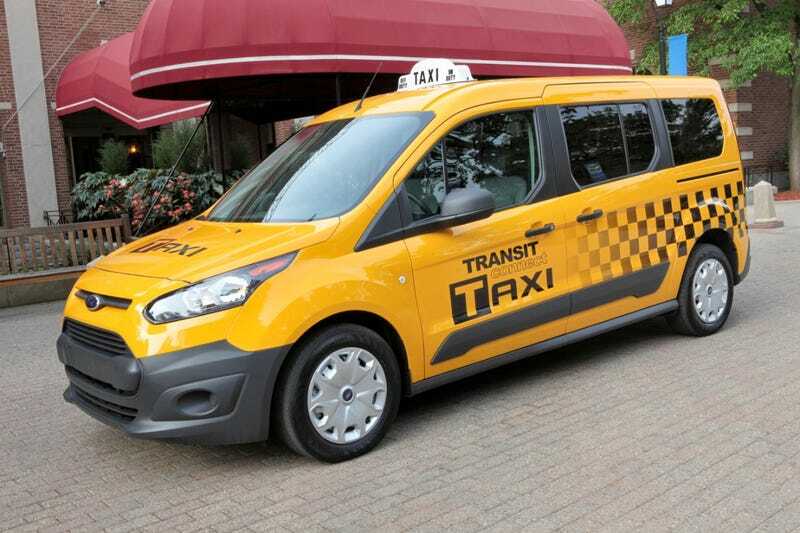 This is the next generation Ford Transit Connect Taxi, which they call the "Taxi of the Future" so as not to be confused with the "Taxi of Tomorrow." Hilarious. What do you think?